On Saturday, 21 April 2018, UMBRA held a training session with the topic of “How to Negotiate Asia Pacific Loan Market Association (APLMA) Loan Agreement in the Indonesian Context”. 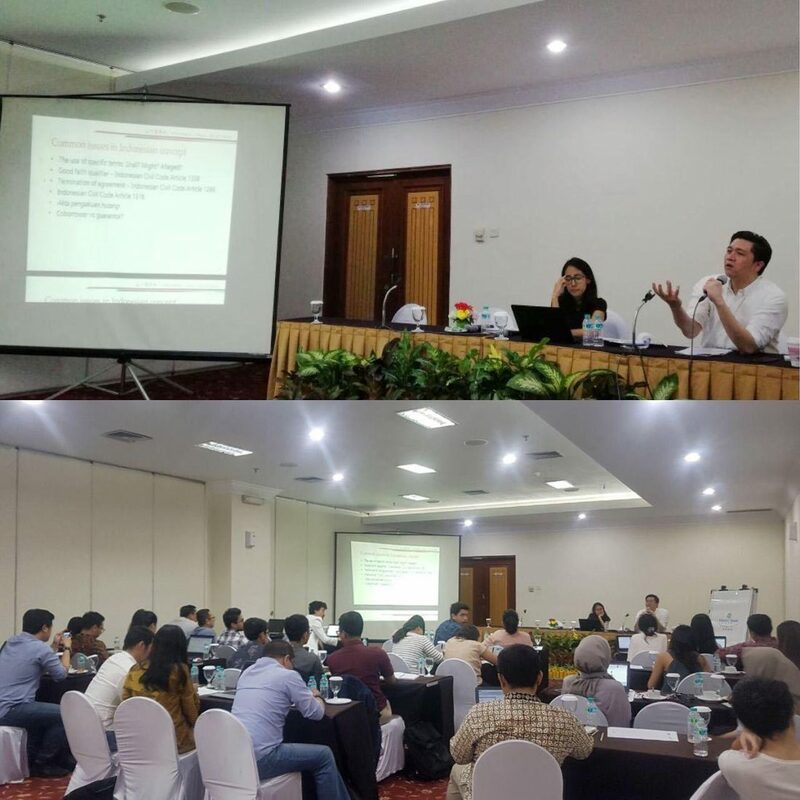 The training was presented by UMBRA senior partner Putu Raditya Nugraha and associate Vulkania Neysa Almandine, and was attended by in-house lawyers from various Indonesian companies and UMBRA lawyers. The training focused on the APLMA, the loan syndication process, the key clauses of APLMA facility agreements and things to consider in negotiating them, both for borrowers and lenders. Participants were also provided with insights on issues that are commonly faced when seeking to apply APLMA loan agreement standards in the context of Indonesian law. The session was also peppered with a case study and lively questions and answers sessions. To celebrate Kartini Day, which fell on the same date as the training, UMBRA cooperated with Kalyanamitra, an independent non-governmental women’s organization to support gender justice. As a part of UMBRA’s corporate social responsibility commitment, all the profits from the training will be donated to Kalyanamitra. Please contact us if you are interested in attending any of our upcoming workshop or training programs.